Do you run a local seniors group? Are you looking for new workshop ideas? These hour long workshops are fun, engaging and relaxed, they encourage learning about gardening through a presentation and practical planting workshop. Below is a list of workshops suitable for senior community groups, please contact for full price based upon group size and location. These can be run as one off workshops, or as a full course. 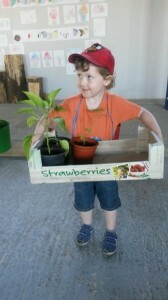 Please email Vikki@PlantandPlay.co.uk or call 07832951856 to find out more. Companion Planting – learn how to combine plants within the garden to improve plant health & encourage growth. Includes planting seeds to take home a grow. Healthy Herbs – learn how to grow a variety of herbs, understand their health benefits, learn how to take cuttings and how to use them in cooking This workshops also includes gardens weeds which are suitable to eat. Plant up your own herbs to take home and use. Container gardening – learn how to grow most of your fruit and vegetables in containers, perfect for anyone with limited garden space. Also included are upcycling ideas and unusual garden containers from recycling projects. Plant up seeds to take home and grow. Garden pests and diseases – learn about some of the common garden pests and diseases that you may experience when growing fruit, vegetables and flower and how to tackle them using mostly natural methods. Includes planting seeds to take home and grow. Wildlife gardening – learn about how to encourage pollinators in to your garden through planting and learn about keeping your garden wildlife friendly. Includes planting up seeds to take home and grow.